Oriental food is my weakness. My taste buds love to be teased by the sauces and flavours in Chinese cuisine, in particular. To commemorate the Chinese Year of the Sheep, The Club D.N. Nagar Andheri West, Mumbai is hosting a Chinese Food Festival at The Oriental Wok, their Oriental Restaurant and I decided to give it a shot. The bright ambience and decor in red and gold was befitting the occasion. Seated in our favourite corner table, we were relaxed as we sipped our Jasmine Tea. The regular menu at this Restaurant is a delight and varied, but the festival menu too, was well-planned and exhaustive. It catered to all palates. We opted for the Sea Food X.O. soup to begin with. The soup was a light one with delicate sea food flavours and a generous amount of prawns and sea food. But it could have been pepped up a bit in terms of spice. A little too bland for my liking. The Chicken coriander dim sums were delectable. No disappointment here. The covering was, light and smooth and the filling, flavourful. The two textures married perfectly. The Cheong Fun aka rice rolls with shrimps were unique. Liberally filled with shrimps and folded well in rice flour together with potato starch, swathed in soy sauce, these were truly a palate pleaser. But a trifle heavy, I must admit. I think I prefer the Vietnamese ones a bit more. There was a fair amount of variety in the starters. Duck rolls, Hakka lamb, chicken et al. Vegetarians too can feat on an array of starters like Tahu Choi made with broccoli, water chestnut, silken tofu or Beijing style stir-fired Chinese cabbage. For the mains, we decided to try a fish dish and had obviously made the right choice. The slow-fried Snapper looked appetizing as it arrived on our table. The garlic pepper black sauce, filled our nostrils and made us hungry. 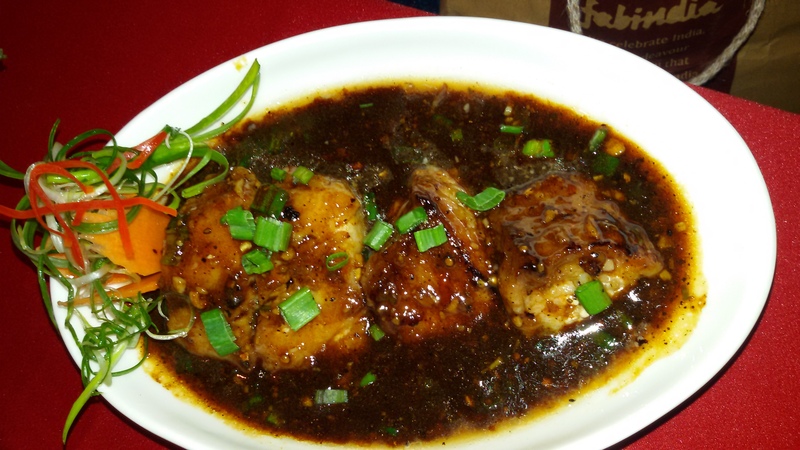 The Tibetan style pan fried chicken marinated with spices called Tubo Cha Sha, was equally a treat. The two had distinct flavours. 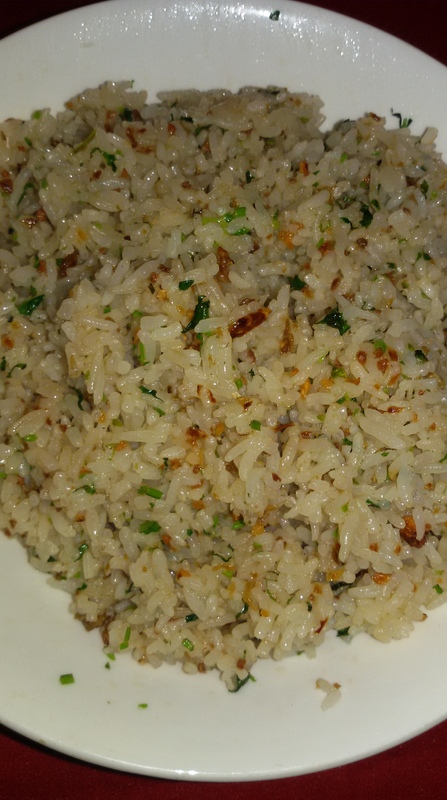 We paired it with the flavoursome Jasmine Rice with garlic, ginger & cilantro. 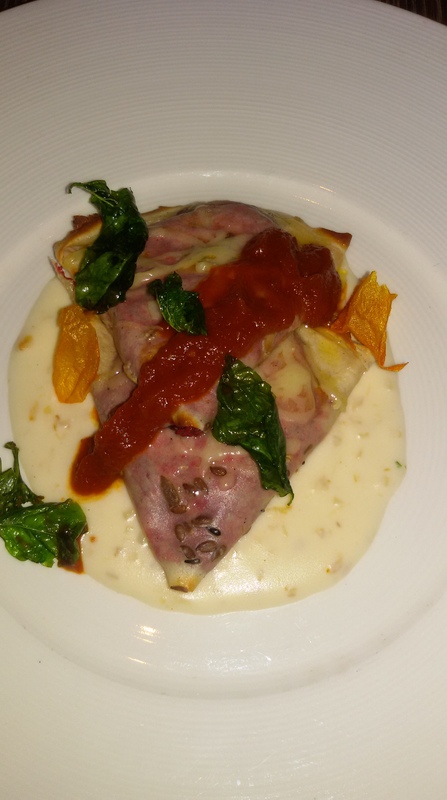 It was a meal which appeased our taste buds and satiated us completely. Chef Kuldeep Das obviously knows how to balance textures and flavours and create something unique. The Fortune pudding sounded inviting. Indeed, what arrived on our table certainly was a treat for the eyes. And later, the palate. Truly an exotic preparation of sweet rice, dried fruits and nuts, it was decadence at its best. Reminded me of the meetha chawal, we Punjabis make. Full marks to the chef here. Opening a fortune cookie, if only to read one’s fortune for fun, is a ritual one must indulge in a Chinese New Year meal and so we followed it. 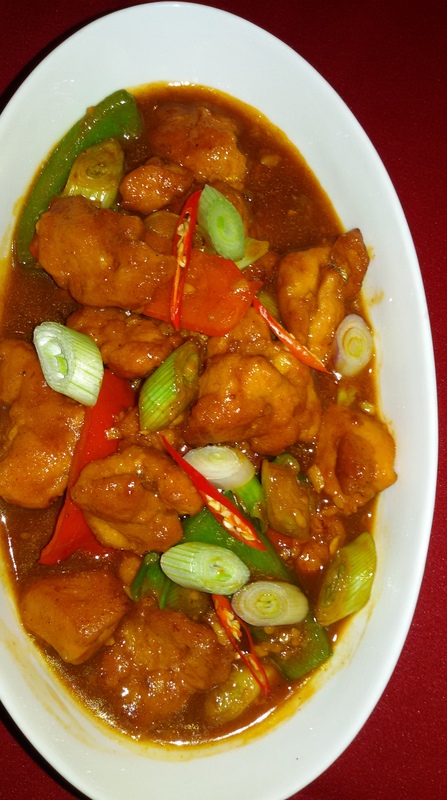 An enjoyable meal in vibrant surroundings, with attentive and warm service, was what we savoured at The Oriental Wok. The Festival may be extended till March, owing to the great response it has received, so if you are lucky, you too can relish this food beyond this weekend. Don’t miss it if you get a chance! Tuskers, the all vegetarian restaurant at the Hotel which boasts of a separate kitchen to ensure the purity of vegetarian food, played host to this food festival. Quite naturally, all the Gujarati food was strictly vegetarian and yet, lip-smacking. 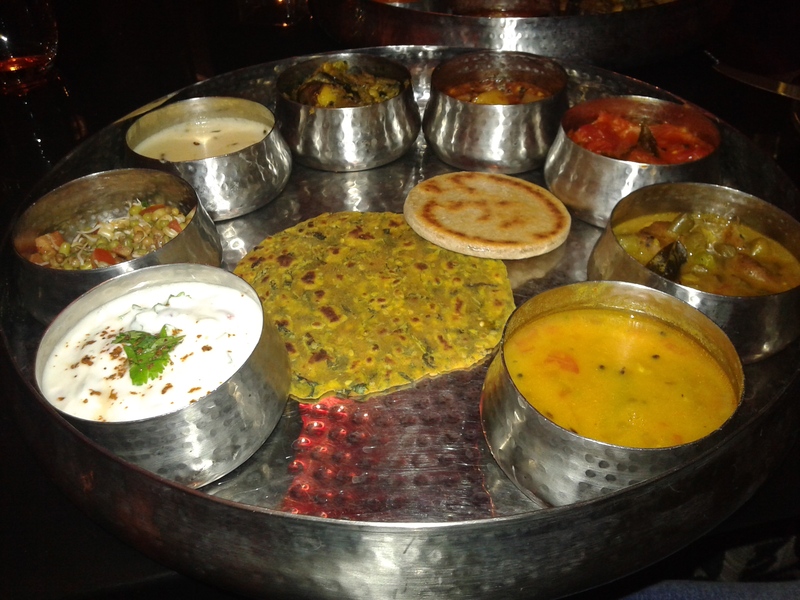 The well-arranged thali, was a treat for the eyes. Farsan in a Gujarati meal is always the highlight and the vatana ghugra and khaman dhokla served to us were no different. Delectable flavours of the starters paired with tangy chutneys was the perfect beginning to our meal. 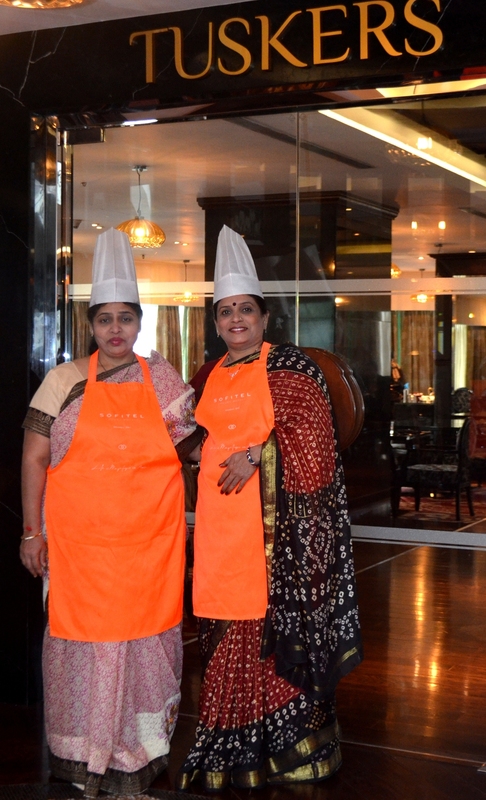 Prepared by 2 Home Chefs Neha Varma and Urmila Gohil, along with the Maharaj Jankidas Vaishnav, at Tuskers, the meal was bound to be a unique experience. And it was. The aam panna was refreshing and energized us completely. Neha Varma one of the Home Chefs told me, “Working at Sofitel Mumbai BKC, was as comfortable as my own home kitchen and that helped me serve up the right balance in the cuisine. Gujarati cuisine has a sweet touch and the combination of flavours is designed to please every palate.”​ There could be no greater compliment for the Hotel, I thought. The Phangavela Mug-Mut No Salad was fresh and wholesome. Something that I enjoy wholeheartedly. For the mains we were served, an array of Gujarati delicacies. Ringna-Batata Sambharyo, Surti Kadhi, Undhyo, sev tamatar, dal, theplas, bajra rotla and of course khichdi. The delicate flavours of each dish were distinct and no where did the spices over power the taste buds. They gently teased the palate, leaving us craving for more. With so much of variety, of course no monotony would have set in and the brilliant Home chefs ensured, none did. Each dish was different and had its own identity. The food was home style, with less or negligible oil and the ingredients absolutely fresh. The surti kadi and undhyo were two dishes which were outstanding, as far as I was concerned. The desserts, after the sumptuous main course, sadly did not match up to our expectations. The service was warm and hospitable, in keeping with the Gujarati household culture and Sofitel Mumbai BKC’s tradition. A thoroughly enjoyable evening, well spent over a heart-warming meal. On till February 28, make your way quickly and savour this authentic meal. Cheval Restaurant & Bar, has a regal air about it and transports you elsewhere- out of Mumbai. for sure. One gets a feel of being in Europe. Maybe because of the ambience and partly because of the expat crowd that throngs the bar as you enter. A happening place undoubtedly. The restaurant section has an old world charm to it, but perhaps could do with a bit of brighter upholstery. 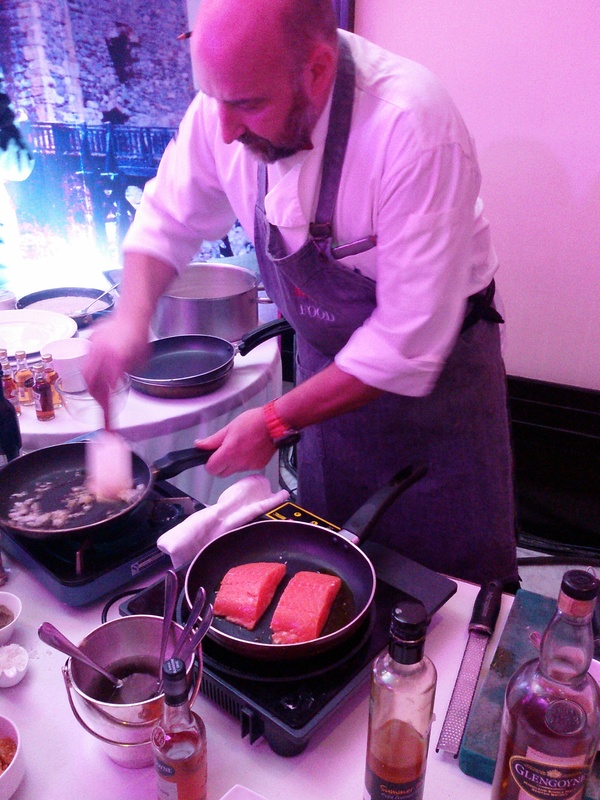 The new menu designed by Executive Chef – Brian Lopes, looked interesting. A good mix of global specialities. Bravia potatoes arrived first. Melt in the mouth and creamy. Just the way they are meant to be. Reminded me of Chef Sergi Arola. His signature dish it is. The chicken liver pate with cherry compote and date puree fell short of our expectations. The pate was overpowering and enveloped the palate. Roasted beetroot with a raspberry emulsion, walnuts and goat cheese, was our choice for salad. I have a weakness for this one. The salad was well made, the beetroot done to perfection and the goat cheese, creamy enough. However, the salad leaves could have been doused further with dressing. Were a tad too dry. The quality of the ingredients got our vote- fresh and the best. Chef Brian dropped by to say hello to us and explained how he keeps reinventing his menu to allure his regular guests. Well, he had succeeded. 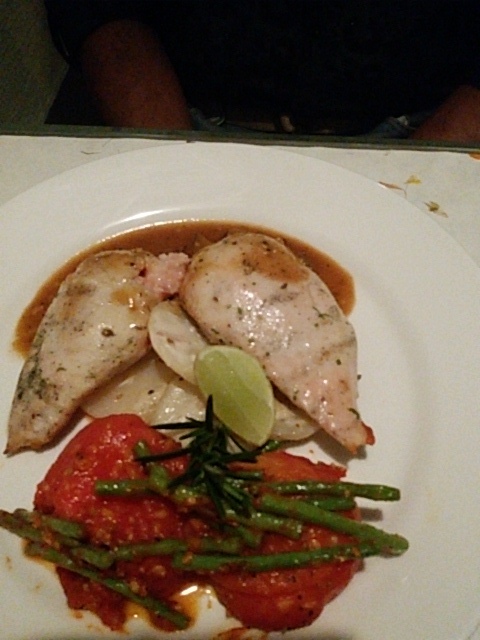 I was recommended to try the Multigrain crepe, laal maath and beetroot along with a smoked tomato fondue, while my partner settled for the delicate John Dory. I was ecstatic as I bit into my crepe. Luscious flavours and a plethora of textures, juxtaposed. My vote went instantly to this one. The tomato fondue was the perfect compliment. One cannot go wrong with a John Dory and this one surpassed our expectations. The kaffir lime risotto so cleverly paired with this, did the trick. The aromatic, gentle flavours filled and appeased our senses. Delicious. The chef is indeed extraordinary. Satiated, we let ourselves indulge in the desserts too. Espresso fudge served with vanilla bean ice cream and Basil panacotta strawberry coulis was what we ordered. 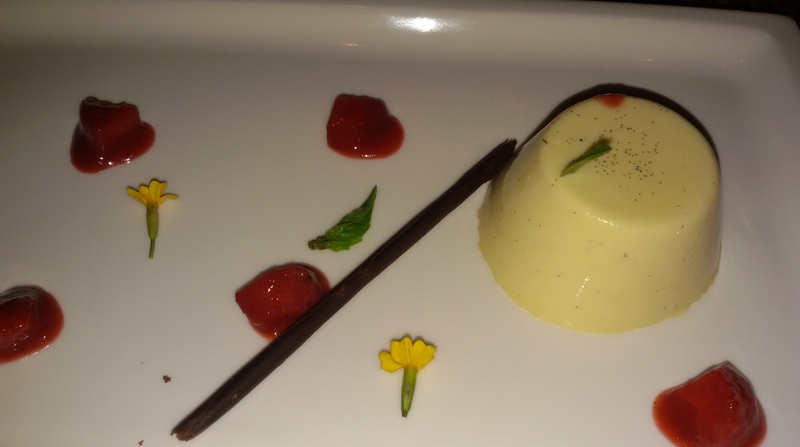 The basil panacotta was unusual, but a wee bit less sweet for my taste buds, but made well nevertheless. The espresso fudge was decadent and sinful, as expected. The service was impeccable and the staff alert to guests’ needs. The food is unusual, subtle flavours and appeals to a global palate but the portions can be a bit more generous. An enjoyable and relaxed dining experience this was. Global food abounds in Mumbai nowadays but if the offerings are good and varied one is never bored of it. 5 The Restaurant is a tried and tested player but a visit to it in its whole new avatar at Khar was long overdue. The plush and elegant interiors were warm and cosy putting you at ease immediately. The location is an advantage too and offers a European setting. Attentive staff has always been it’s plus and thankfully nothing has changed on that front. Our creamy spinach and bacon soup arrived. Piping hot it was comforting. The spinach flavour was subtle, yet tingled our palates sufficiently. The addition of bacon enhanced the taste and flavour of the soup. The beetroot and feta cheese salad with tangerine was interesting but the salad dressing could have been a little more generous and the beetroot was a tad overcooked. The peppercorn chicken was a bit of a let down. The flavours and pieces of chicken were not enticing enough. Just when I was beginning to think that the food would not surpass my expectations I was in for a surprise. The bacon stuffed chicken breast was truly delectable. It was well tenderized. The bacon filling led to a burst of flavours in the mouth. Full marks to the chef here. The polenta ratatouille was equally palate pleasing. 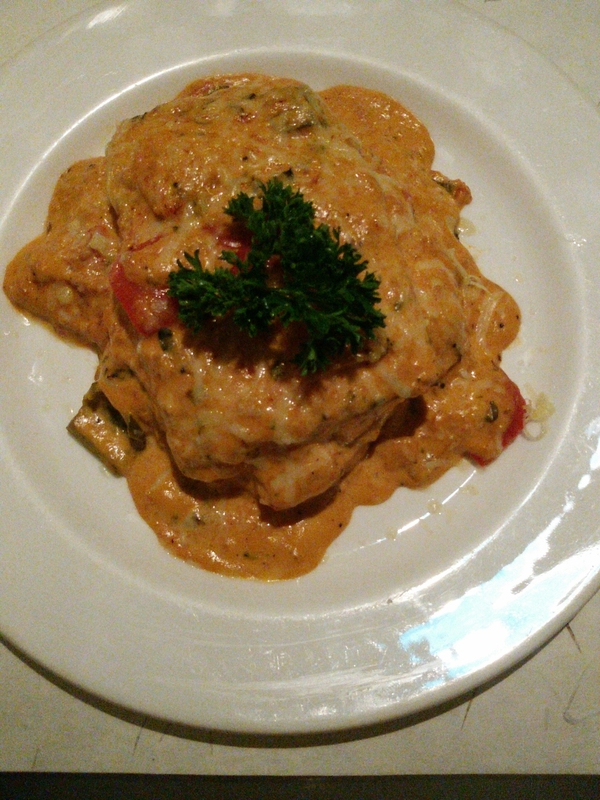 The rugged texture of the polenta meshed with veggies made for a delightful combination. The cheesy sauce only added to the perfect finale. 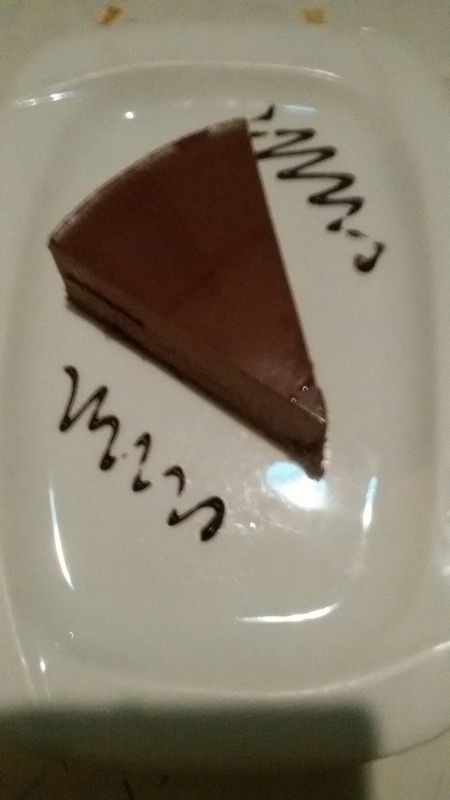 Satiated with a sumptuous meal we would have been happy to skip the dessert but were cajoled into trying the chocolate flan. And it was the perfect recommendation. Gooey chocolate on a crusty and crunchy base proved to be pure sin and we indulged in it without guilt. A perfect meal complimented with good service. 5 The Restaurant is definitely a place worth dining in. Given the variety, quality of ingredients and portion size, it is value for money. It is not everyday that you meet a showman and a chef rolled into one. 43 year old Tom Lewis Chef and Proprietor, Monachyle Mhor, is all this and more. Part of the Visit Scotland entourage to Mumbai, Tom regaled audiences with his culinary craftsmanship, albeit in simple, home style dishes. Tom Lewis is a farmer at heart and a crusader for local home grown produce. Not surprising as he was 13 years old when his parents bought a 2,000-acre farm in the hills around Loch Voil and Loch Doine, Perthshire, in 1983 and moved their family up to Scotland from Wales. His ethos was to source as much produce as possible for his kitchen from the family’s farm and it wasn’t long before this self-taught chef began to attract attention for his, then, 34-seat restaurant with rooms. 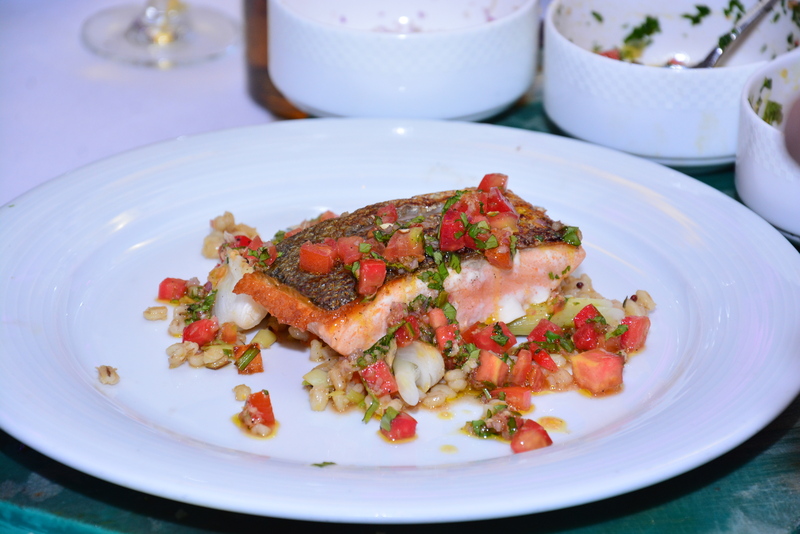 Next he demonstrated a delectable salmon dish with pearl barley and veggies. The dressings he made were unusual and yet easy to prepare. Never knew barley could enhance the taste of salmon to such an extent! Always on the look out for new ingredients, in India, he has stumbled upon rock salt and plans to use that. Cinnamon is his favourite spice but he believes it should be used carefully. ‘Less is more’, is his mantra. He loves the aroma of Scotch whisky, naturally and feels it can be paired perfectly with a lot of Indian food. Food from Scotland suddenly acquired a new meaning for me that evening. And it is a destination for a foodie like me. From Whisky Month to the seafood trail and Michelin-starred restaurants, there is a food and drink experience for all tastes and ages in Scotland and more so this year. 2015 is the Year of Food & Drink and Visit Scotland is highlighting the country’s ‘land to larder’ ethos and showcasing to visitors how the amazing Scottish land creates bountiful and delicious produce. The packed programme of food-focused events and experiences such as the Big Burns Supper Festivals and the World Porridge Making Championships sound really interesting and inviting. Scotland is surely a destination to consider this year!